← Are food recipes protected by copyright? Trademarks symbolize the character and reputation of their owners and the quality of those finished products offered to the consumer. It typically takes years of careful cultivation to build a valuable trademark. This cultivation can include registering the mark with the U.S. Patent and Trademark Office, using the mark in a consistent and continuous manner, and taking action to prevent others from using the mark without permission. However, trademark owners often need to walk a thin line between strong enforcement and overly aggressive enforcement tactics (sometimes called “trademark bullying”). One mis-step (or overstep) can quickly tarnish a mark’s goodwill and inflame consumers. Within days, the reputation of a strong brand built over decades can be destroyed by one over-zealous demand letter or lawsuit that finds its way from the recipient or courtroom to the Twittersphere. In some situations, aggressive trademark assertion may not alienate core customers, but it can arguably benefit the alleged infringer by bringing more attention to a fledgling brand. 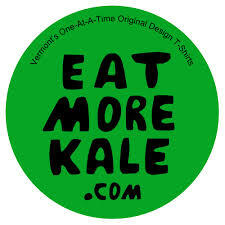 This happened when a Vermont company’s applied to register the EAT MORE KALE mark for use on apparel and other products. Chick-fil-A sent the company a letter demanding that it withdraw the application and stop using the mark, asserting that the use conflicted with Chick-fil-A’s EAT MOR CHICKIN mark. After the Vermont company shared the accusations on social media, the story was spread on many news outlets. The Vermont company received its registration in December 2014. While Chick-fil-A was probably not harmed by this action (the organic/vegan customers of an “eat More Kale” t-shirt are not likely to be fast food customers), the action certainly drew more attention to the Vermont company than Chick-fil-A intended. Aggressive trademark enforcement can result in unexpected “social shaming” in a variety of online and other media, including Facebook, Twitter, and even websites like http://www.chillingeffects.org, which publishes demands to take down infringing content online. Many small businesses have been especially effective in using social media to gain public support for their cause, as well as public disdain for the perceived aggressor (especially when the aggressor is a large corporation). So when it comes to trademark enforcement, it’s important to choose battles wisely, and pause before acting to consider whether the action will offend your core customer base. Step back, consult your marketing people, talk to your attorney, or ask a friend either inside and outside your industry. Trademarks are important, and their value is in the way that they represent the goodwill of your product and your company. That value can quickly be lost by poor decision making. If aggressive enforcement can cause more harm than good, companies should consider alternative strategies for preserving the value of their marks. NOTE: Special thanks to my Fox Rothschild colleague Chris Olszyk, who co-authored this post. Chris handles U.S. and international trademark portfolios, and he counsels a wide variety of corporate clients in risk assessment, trademark adoption and clearance for branding, rebranding, and new product or service launches. Very important things to keep in mind when trademarking! Thanks so much for sharing.